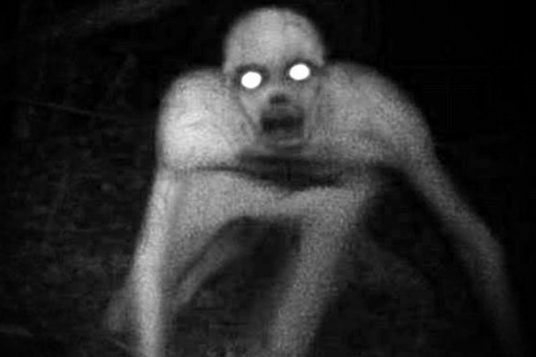 Primarily focused in rural New York state, self proclaimed witnesses told stories of thier enounters with a creature of unkown origin. Emotions ranged from extremely traumatic levels of fright and discomfort, to an almost childlike sense of playfulness and curiosity. While their published versions are no longer on record, the memories remained powerful. Several of the involved parties began looking for answers that year. In early 2006, the collaboration had accumulated nearly two dozen documents dating between the 12th century and present day, spanning 4 continents. In almost all cases, the stories were identical. I’ve been in contact with a member of this group and was able to get some exceprts from their upcoming book. As I prepare to take my life, I feel it necessary to assuage any guilt or pain I have introduced through this act. It is not the fault of anyone other than him. For once I awoke and felt his presence. And once I awoke and saw his form. Once again I awoke and heard his voice, and looked into his eyes. I cannot sleep without fear of what I might next awake to experience. I cannot ever wake. Goodbye. Found in the same wooden box were two empty envelopes addressed to William and Rose, and one loose personal letter with no envelope. I have experience the greatest terror. I have experienced the greatest terror. I have experienced the greatest terror. I see his eyes when I close mine. They are hollow. Black. They saw me and pierced me. His wet hand. I will not sleep. His voice (unintelligible text). He came to me in my sleep. From the foot of my bed I felt a sensation. He took everything. We must return to England. We shall not return here again at the request of the Rake. Three years ago, I had just returned from a trip from Niagara Falls with my family for the 4th of July. We were all very exhausted after a long day of driving, so my husband and I put the kids right to bed and called it a night. At about 4am, I woke up thinking my husband had gotten up to use the restroom. I used the moment to steal back the sheets, only to wake him in the process. I appologized and told him I though he got out of bed. When he turned to face me, he gasped and pulled his feet up from the end of the bed so quickly his knee almost knocked me out of the bed. He then grabbed me and said nothing. After adjusting to the dark for a half second, I was able to see what caused the strange reaction. At the foot of the bed, sitting and facing away from us, there was what appeared to be a naked man, or a large hairless dog of some sort. It’s body position was disturbing and unnatural, as if it had been hit by a car or something. For some reason, I was not instantly frightened by it, but more concerned as to its condition. At this point I was somewhat under the assumption that we were supposed to help him. My husband was peering over his arm and knee, tucked into the fetal position, occasionally glancing at me before returning to the creature. 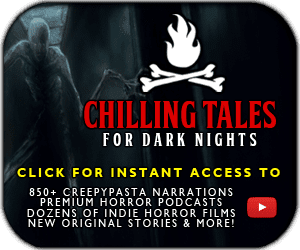 In a flurry of motion, the creature scrambled around the side of the bed, and then crawled quickly in a flailing sort of motion right along the bed until it was less than a foot from my husband’s face. The creature was completely silent for about 30 seconds (or probably closer to 5, it just seemed like a while) just looking at my husband. The creature then placed its hand on his knee and ran into the hallway, leading to the kids’ rooms. I screamed and ran for the lightswitch, planning to stop him before he hurt my children. When I got to the hallway, the light from the bedroom was enough to see it crouching and hunched over about 20 feet away. He turned around and looked directly at me, covered in blood. I flipped the switch on the wall and saw my daughter Clara. The creature ran down the stairs while my husband and I rushed to help our daughter. She was very badly injured and spoke only once more in her short life. She said “he is the Rake”. My husband drove his car into a lake that night, while rushing our daughter to the hospital. He did not survive. Being a small town, news got around pretty quickly. The police were helpful at first, and the local newspaper took a lot of interest as well. However, the story was never published and the local television news never followed up either. For several months, my son Justin and I stayed in a hotel near my parent’s house. After we decided to return home, I began looking for answers myself. I eventually located a man in the next town over who had a similar story. We got in contact and began talking about our experiences. He knew of two other people in New York who had seen the creature we now referred to as the Rake. It took the four of us about two solid years of hunting on the internet and writing letters to come up with a small collection of what we believe to be accounts of the Rake. None of them gave any details, history or follow up. One journal had an entry involving the creature in its first 3 pages, and never mentioned it again. A ship’s log explained nothing of the encounter, saying only that they were told to leave by the Rake. That was the last entry in the log. There were, however, many instances where the creature’s visit was one of a series of visits with the same person. Multiple people also mentioned being spoken to, my daughter included. This led us to wonder if the Rake had visited any of us before our last encounter. On the first day of the third week, I thought I heard something different. What I found was a shrill voice. 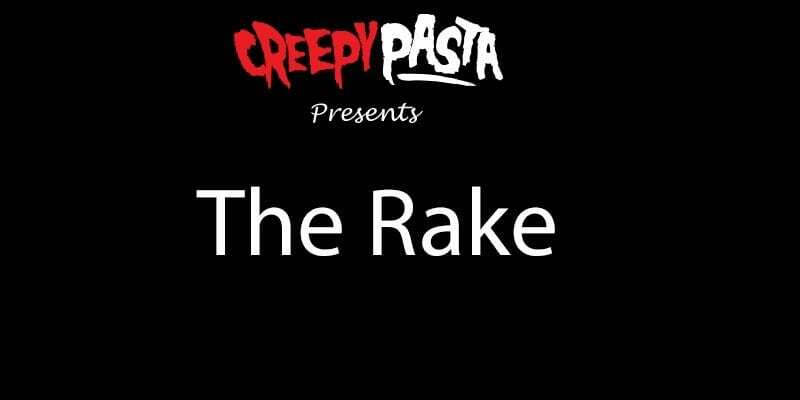 It was the Rake. I can’t listen to it long enough to even begin to transcribe it. I haven’t let anyone listen to it yet. All I know is that I’ve heard it before, and I now believe that it spoke when it was sitting in front of my husband. I don’t remember hearing anything at the time, but for some reason, the voice on the recorder immediately brings me back to that moment. The thoughts that must have gone through my daughter’s head make me very upset. I have not seen the Rake since he ruined my life, but I know that he has been in my room while I slept. I know and fear that one night I’ll wake up to see him staring at me.